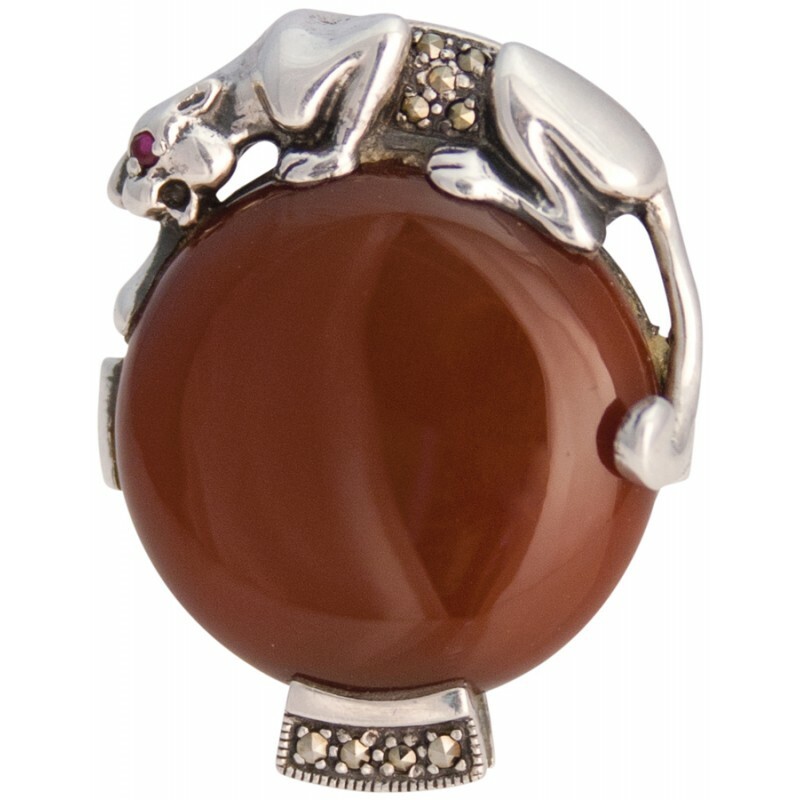 From our collectable Windsor collection, this striking sterling silver ring is crafted in Britain to the finest quality from 92.5% pure silver and red agate, and is set with marcasite stones. 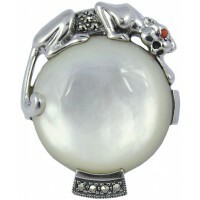 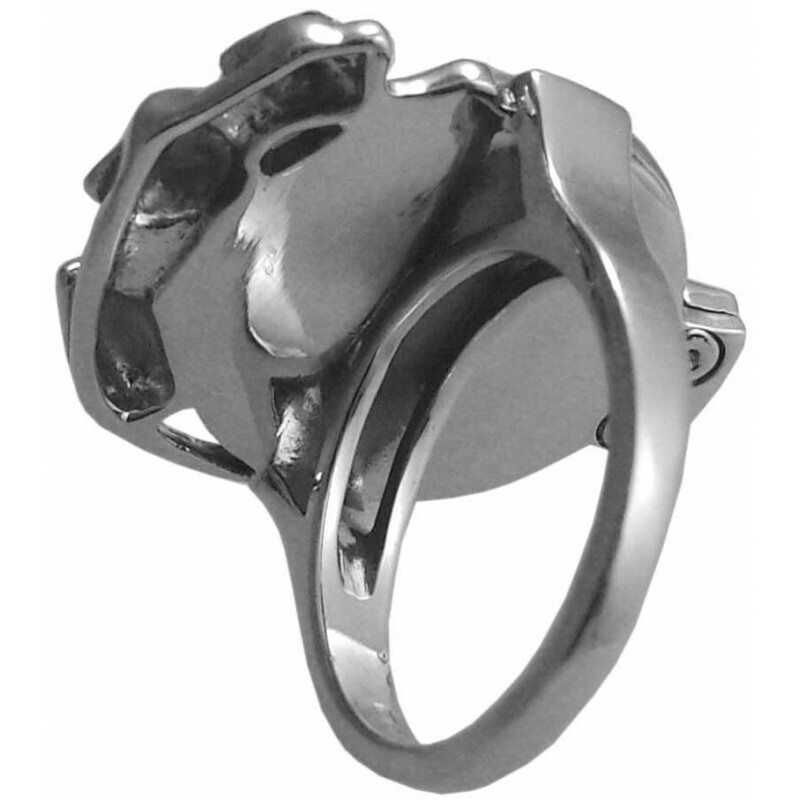 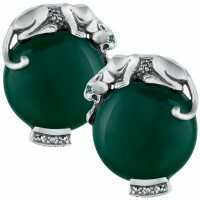 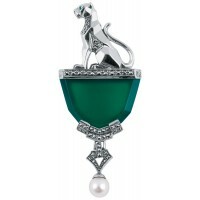 The elegant panther sits on top, creating a dramatic style statement. 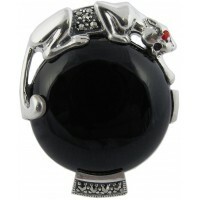 The panther is enhanced with ruby eyes.